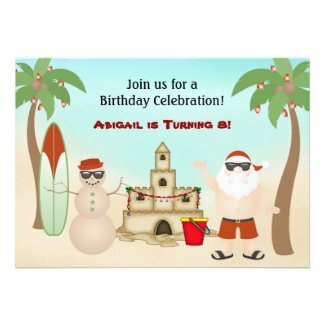 These cute birthday invitations are just what you need for a tropical beach Christmas holiday birthday party. 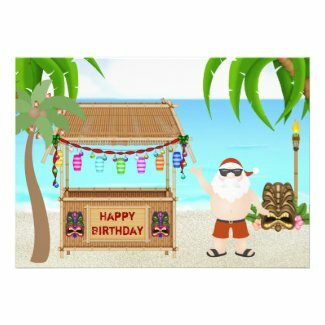 They feature Santa in a swimsuit, hat and flipflos, sandmen, holiday decorations, sandcastles and much more. 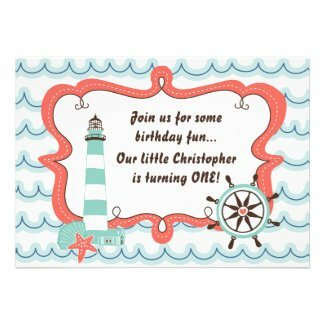 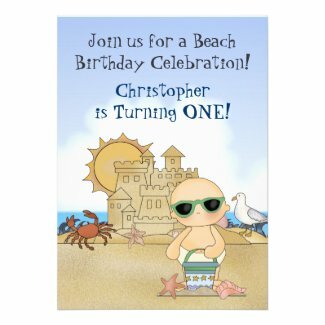 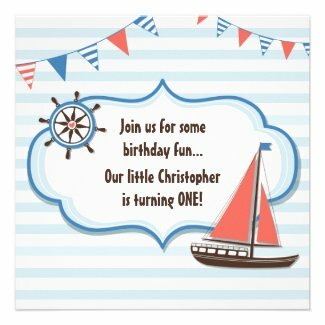 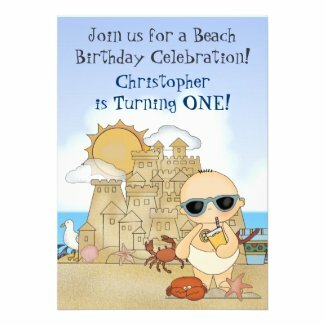 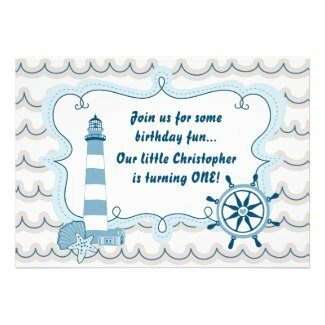 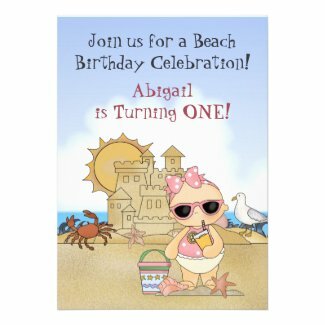 Each beach invitation can be personalized with your birthday girl or boy's name and all of your tropical party details. 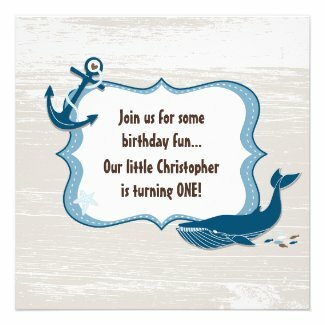 For more invites take a look at Cute Personalized Christmas Birthday Invitations.